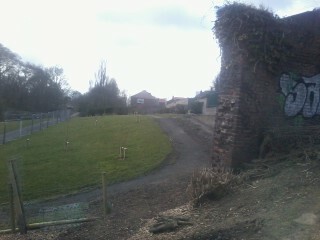 Work to restore the Wallsend Parks has reached its final stage. The restoration plan formed part of the overall Wallsend Town centre regeneration scheme and included restoring the lake, watercourses, play areas, bandstand and the whole Richardson Dees Park grounds, after the Heritage Lottery Fund awarded a grant of 2.45 million pounds towards the cost of the works with the remainder being provided by North Tyneside Council. 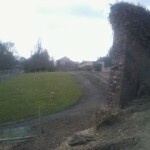 The massive project also included a friends of Wallsend park plan to restore the landscape along the vinery wall and bringing back the forgotten Orchard to the Wallsend Hall grounds. The focus of the second stage of the works concentrated on extending and refurbishing the Wallsend Bowls Pavilion and the Park Lodge, along with the closure of the Hall Grounds to allow for cleansing and re-development of the watercourses including new stream foundations. . The regeneration also included the decluttering of the woodland and lake area in Richardson Dees Park, a new Cafe and Toilet extension to the Pavilion, new footpath surfacing, restoration of the Bandstand and Duffy Memorial Fountain, resurfacing of the Tennis Courts and creating a Multi-Use Games Area. Although the work took a lot longer than was anticipated it has received an enthusiastic welcome from members of the Wallsend public. Photo slideshow showing some of the ongoing restoration work. WHY ? is the Park Lane NOT regularly checked for silt and litter rubbish?